Great content forges deep emotional connections with your customers and establishes you as a thought leader in your industry. Great content attracts prospects, nurtures them throughout the buyer journey and helps convert them into paying customers. Great content demands precise writing, strong strategy and a deep understanding of the pains your prospects face on a day-to-day basis. Our content marketing team consists of content strategists, writers, designers and editors. They explore the nuances of your business, your unique value propositions and your customers’ goals. 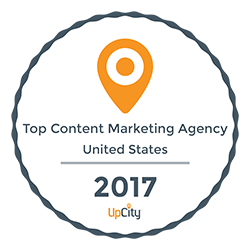 With this information, they build comprehensive content strategies that lead directly to conversions and revenue. Advance your revenue goals and engage your prospects with the support of our accomplished writers, designers, editors and content strategists. To ensure all of your content helps you drive revenue and conversions, we also offer best practices coaching and editorial oversight for content you produce in-house or through a third-party service. Let our team help you shape and refine your story in a way that contributes directly to bottom-line growth. Square 2’s writing is OUTSTANDING. I haven’t had a copy review this easy in a long time.